VYAPAM ITI 463 POST - . Madhya Pradesh Professional Examination Board (VYAPAM) invites application for the post of 463 ITI Training Officer under Skill Development Directorate. Apply Online before 12 October 2016. Educational Qualification : High School & ITI in relevant Trades (NCVT/SCVT)/NAC (Apprenticeship). Age Limit : 18 to 40 years (Only M.P. Domicile) 35 years for Other State as on 01.01.2016. Application Fee : Candidates applying online have to pay Rs.500/- for General category candidates and Rs. 250/- for SC/ST and OBC candidates of MP and Rs.70/- for MP Online Portal Fee for all candidates fee can be pay through through MP Online (Kiosk)/ Net Banking/ Credit card/ Debit Card. 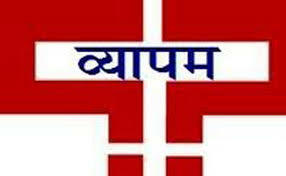 How to Apply VYAPAM Vacancy: Interested Candidates may apply online through www.vyapam.nic.in or www.mponline.gov.in from 13.09.2016 to 12.10.2016.